Osteoporosis is a disease of "bone thinning and softening" which can affect virtually all of the bones in the human body. 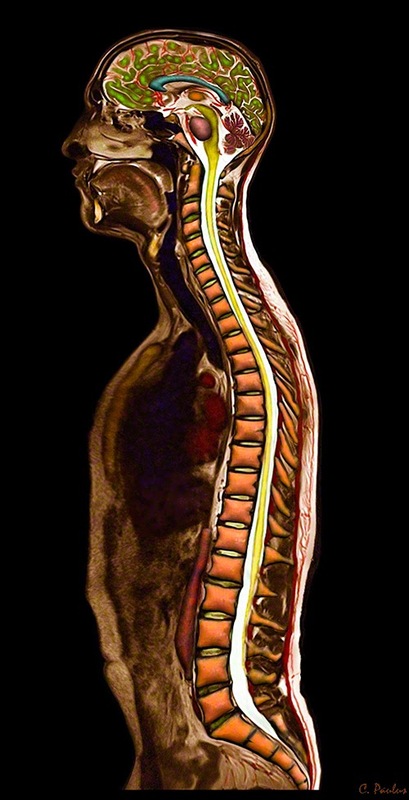 The Spine is at particular risk due the fact that most of our body's weight is carried by it. Vertebral fractures are common in patients with advanced stages of Osteoporosis. It is estimated that 700,000 of these fractures occur each year in the United States. Studies have shown that up to 15% of all women sustain Osteoporosis related fractures. 40% of women over the age of 80 will have suffered from such a fracture. While we typically think of fractures as events which are related to severe trauma, the reality is that Osteoporosis related fractures can occur with a simple cough, sneeze or minor fall. In the Spine, the majority of these fractures occur in the mid-back (thoracic spine) and low-back (lumbar spine). The part of the Vertebra which typically fractures is the front, called the "Vertebral Body". This is the large, square shaped part of the Vertebra. It is at the highest risk since roughly 80% of the weight on the Spine is carried by these "Vertebral Bodies". 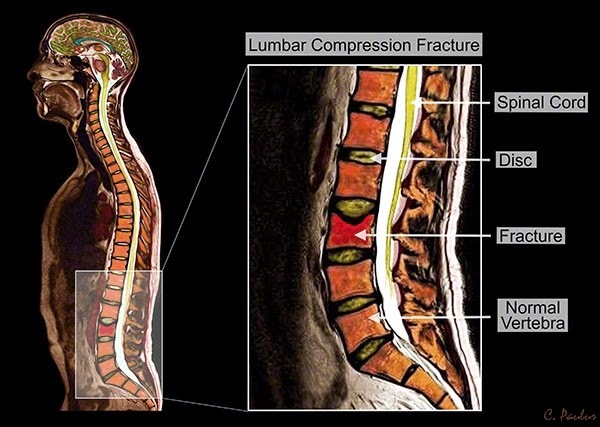 These specific types of fractures are called "Compression Fractures" since the Vertebra is compressed from the top. Lets take a quick look at the Anatomy of the Spine to help us understand these fractures better. 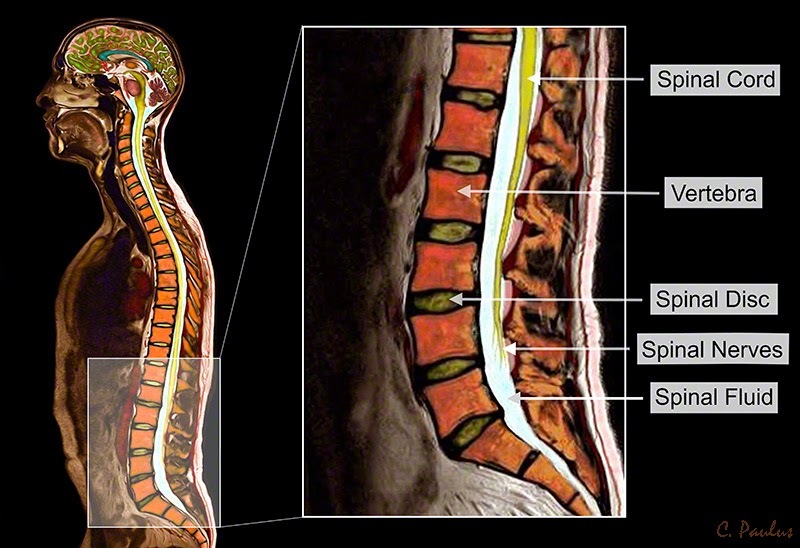 Here is a Color MRI Image which shows the different parts of the low back (lumbar spine). Notice the square-shaped body of the Vertebra in the front of the Spine. This is the part of the Vertebra most prone to a Osteoporosis related fracture. The next Color MRI Image shows a typical Osteoporosis related fracture. Notice how the top of this Vertebra has sunken in. The next Image is a Color X-Ray. Compared to the MRI Images above, the X-Ray shows primarily bone structures, which makes it often easier to see a fracture. This Image is Interactive. Scroll your mouse cursor over the Image tags displayed on this Image and see text appear which explains each structure. These fractures can transform a Vertebra into different shapes, depending on which part of the body of the Vertebra is most affected. Here is an example of a fracture in the mid-back (thoracic spine). Notice how the Vertebra is taking on a "pie-shape". This Color X-Ray is also Interactive. The next Image is a Color MRI Image which shows another mid-back (thoracic spine) fracture. This Image is also Interactive. Here is a similar fracture on a Color CT Scan. A CT Scan is a type of "super X-Ray" which shows everything an X-Ray shows, but with far more detail. This Image is also Interactive. Despite the dramatic appearance of Osteoporosis related fractures on X-Rays, CT, and MRI scans, the majority of these fractures will heal on their own within 6 weeks without surgery. Apart from medications and braces, there are minimally invasive treatments (Vertebroplasty, Kyphoplasty) available for patients who have severe pain and are debilitated despite more conservative treatments such as medications and braces. What is a "Spondylolisthesis" of the Low Back (Lumbar Spine)? Shown and explained with Color X-Ray and Color MRI Images. Color X-Ray, CT and Color MRI Images and text like the ones featured in this Blog are available for Licensing for Websites and Publications at www.medicalmediaimages.com.